The Miscellaneous All Rebuild Kit Ball Ends For Shocks 4 Pieces Black has an average rating of stars based on 49 customer reviews. 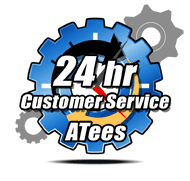 Product as described, very happy with the service. Other Upgrades/Parts Recommended by Reviewer: TAMIYA TA03 - Aluminum Front Knuckle Arm - 1 Pair Silver by GPM Racing. TAMIYA CC01 - Aluminum Motor Gear Set 4 Pcs Orange by GPM Racing. 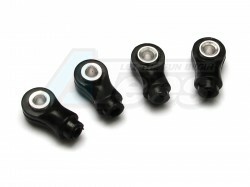 TAMIYA CC01 - Steel Front Universal Swing Shaft (45mm) - 1 Pair Black by GPM Racing. 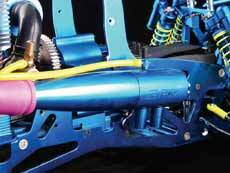 Other Upgrades/Parts Recommended by Reviewer: CC161 Aluminum Alloy Rear Adjustable Suspension. Links Silver Set For Tamiya CC-01 #CC161. RC Stroke Extension Link - CC01ITEM# 54519 compare in stock. Stroke extension for CC01.